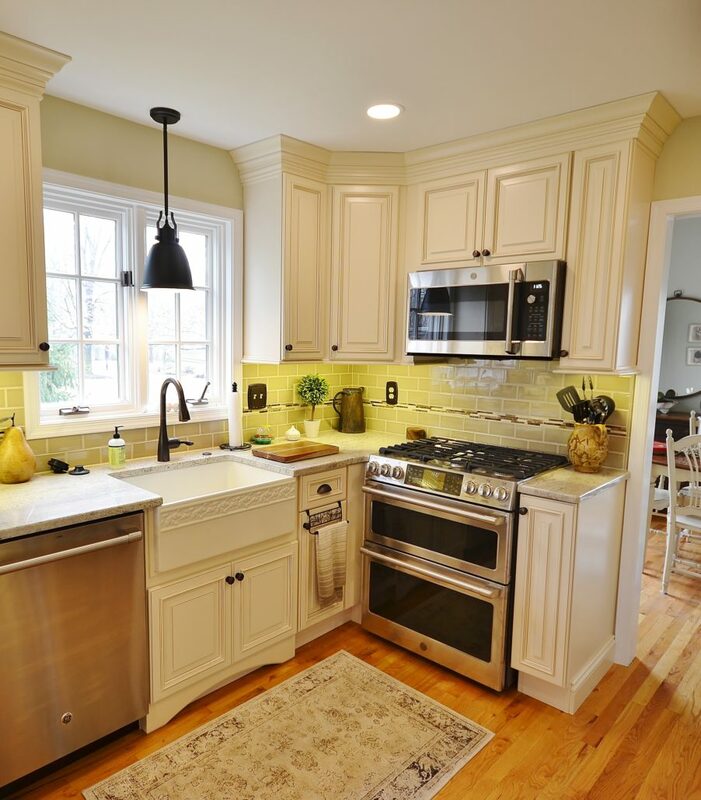 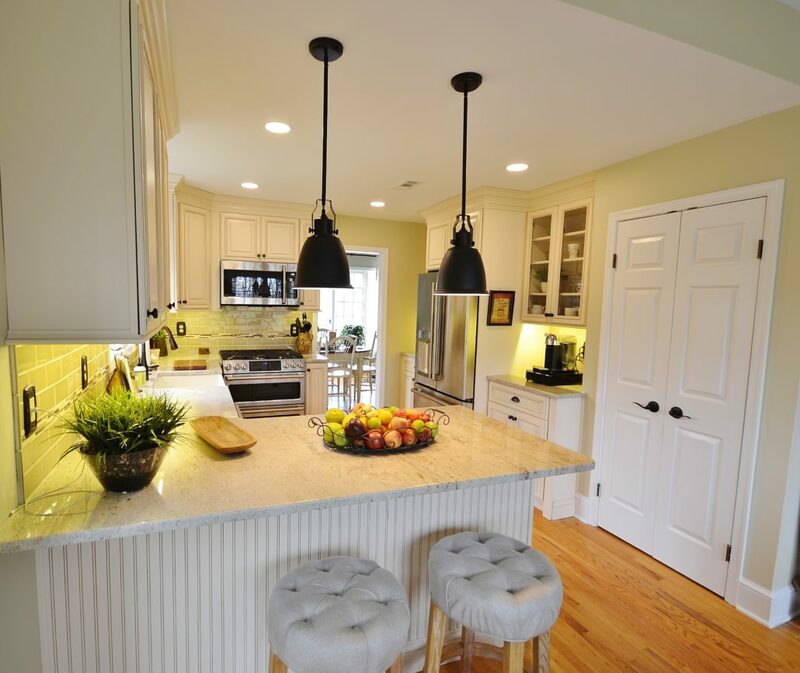 What a nice, classic, and bright kitchen remodel in a beautiful townhome in Exton PA. 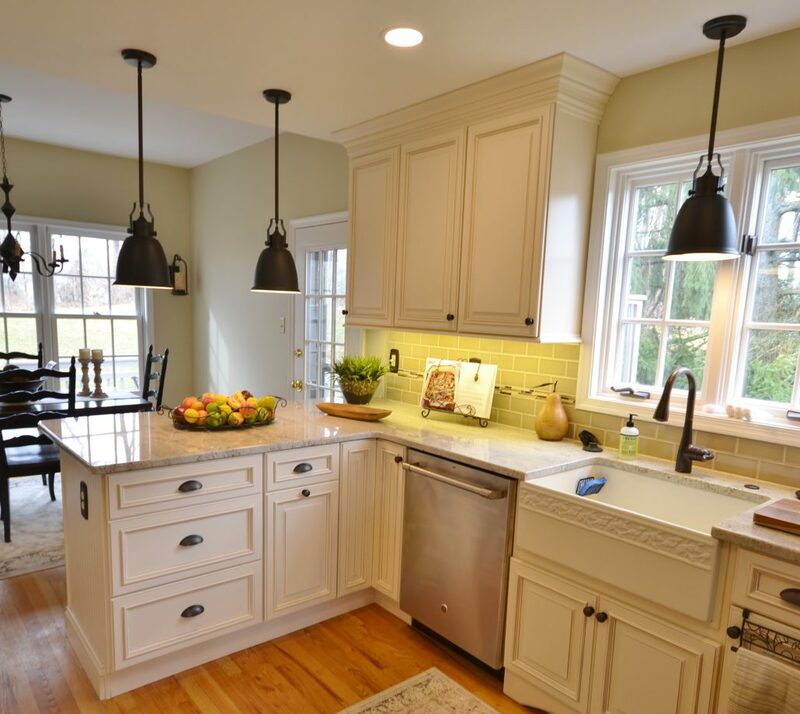 This new kitchen in Fabuwood Wellington Ivory cabinetry updated the space yet fits in perfectly with the rest of the home. 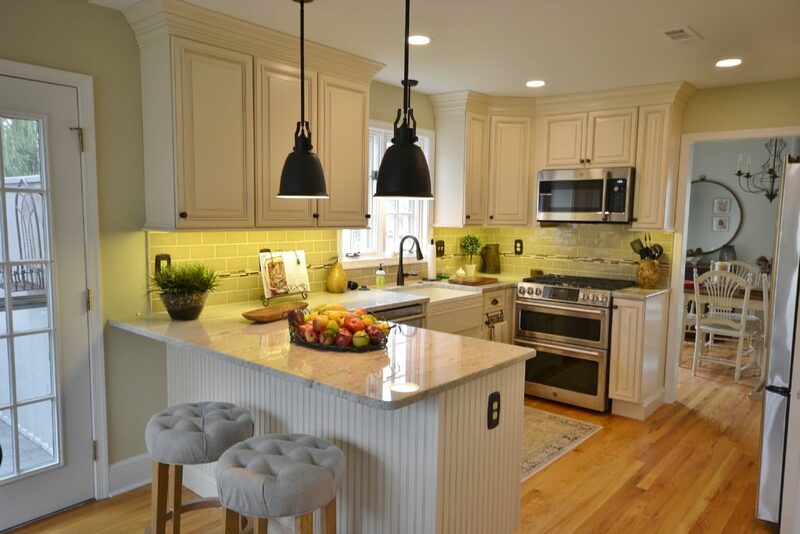 New Astoria Granite countertops, great farm sink, and tile backsplash with accent stripe bring the whole kitchen together. 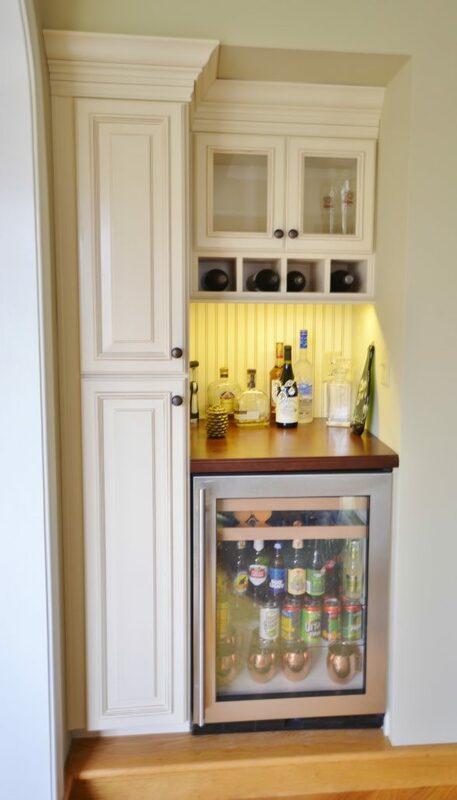 A new dry bar with beverage fridge was added making nice use of an existing recessed area in the family room. 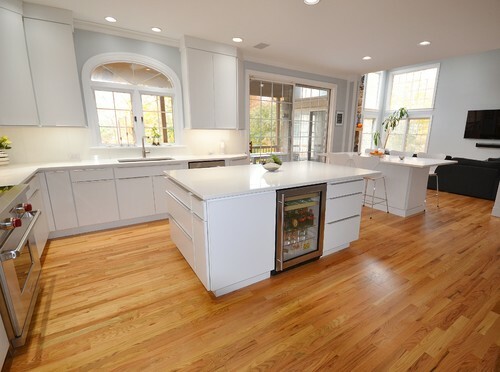 This kitchen is a great example of how you can accomplish big changes in look without major changes to the design and footprint.